The range of chemicals affecting human health is broad and growing. Figures on chemical production and consumption in the WHO European Region are the highest in the world: 11 of the top 30 chemical-producing countries are European, generating sales of €533 billion. These include hazardous chemicals, such as heavy metals and some persistent and non-persistent organic pollutants – for which toxicity to humans is well established – as well as emerging chemicals, all of which cause public health concerns. Globally, 1.3 million lives and 43 million disability-adjusted life-years (DALYs) were lost in 2012 as a result of exposure to selected chemicals, the health effects of which are well known. In the European Region mercury pollution costs €5.1 billion per year, while a broader estimate of childhood medical and physiological conditions resulting from chemical hazards suggests that the costs are in the order of €71 billion per year. A recent analysis estimated the costs of the burden of disease attributable to endocrine-disrupting chemicals at €163 billion per year. Despite substantial progress in chemicals regulation, urgent actions are needed to protect children at early stages of development to improve population health throughout the life-course. According to the classification performed by the International Agency for Research on Cancer, many chemicals are classified as human carcinogens with sufficient or limited evidence: 120 substances are carcinogenic for humans; a further 81 are probably and 299 are possibly carcinogenic for humans. Occupational carcinogens are estimated to cause between 2% and 8% of all cancers. 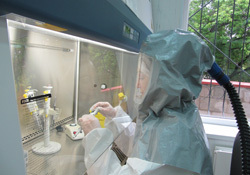 Unintentional poisonings in 2010 were estimated to cause 58 000 deaths annually in the European Region, and the majority resulted from preventable chemical exposures.